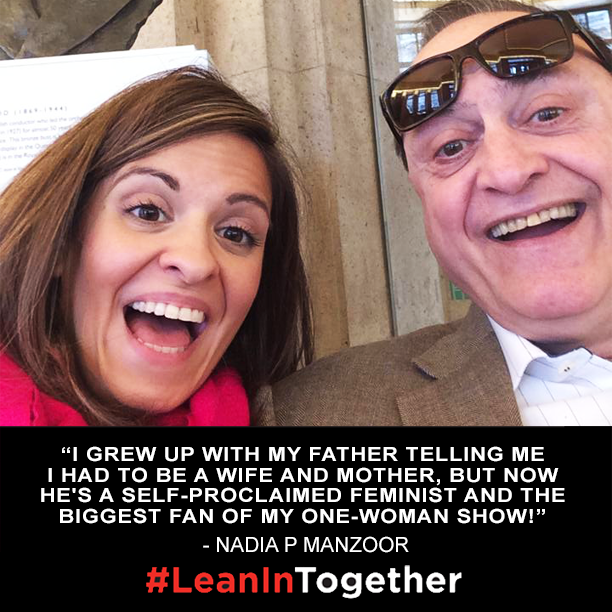 I’m a big fan of Sheryl Sandberg’s book Lean In, and everything the #LeanInTogether campaign is doing! It got me thinking about my father and how much his support has inspired me in my endeavors. I grew up with my father telling me I had to be a wife and mother, but now he’s a self proclaimed feminist and the biggest fan of my one-woman show! People can change. The world can change. Let’s make it happen.